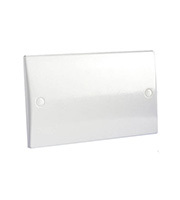 When you are connecting up electrical devices using the wall as your output you will need electrical blank plates to safely secure your electrics. 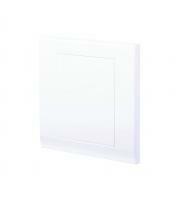 Within our range of moulded white accessories you can discover a vast selection of blank wall plates, created for numerous different functions but all protecting whatever is laid behind them. 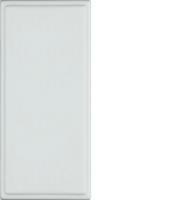 Direct Trade Supplies can now provide you with 1 and 2 gang blank plates as well as architrave and datacom plates. 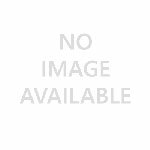 We stock only the very best electronic brands with Schneider, BG and MK all featuring within this selection. 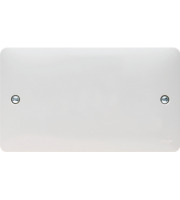 We have all the products you need to safely store your electronics, these blank plates are essential components to any connection integration from the wall to appliance. 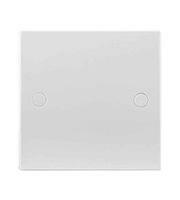 When you go to fit blank plates it is important to switch off the electricity before you carry out any work. 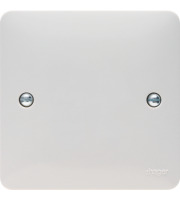 Fiddling around with live electrics can be extremely dangerous so if you are unsure yourself, try and get a qualified electrician to fit the blank plate and connect up to your desired appliances. 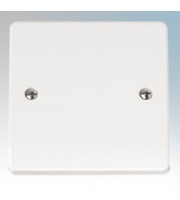 Fitting a blank plate is bread and butter for most qualified electricians, they will know the safest and smoothest procedure to help you get set up. 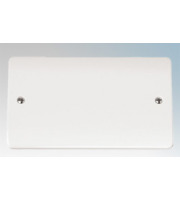 All of our electrical blank plates have been meticulously assessed and safety checked, falling bang in line with safety standards and regulations. 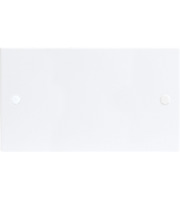 These moulded white accessories are reserved and neutral, meaning you can subtly inherit these blank wall plates into most interior themes. 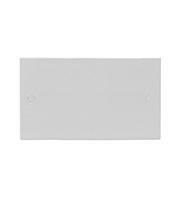 A white blank plate is often preferred because its simple to work with, easily integrated and requires little to no maintenance. 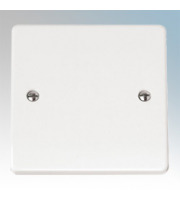 If you require a different type of blank plate, such as metal blank plates or wall plates specifically designed for more intricate work or niche connections then take a browse of our entire switches and sockets range. 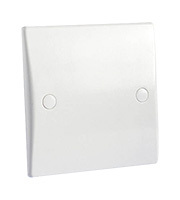 Direct Trade Supplies hosts a wide catalogue of socket and switch plates, all of which are designed to be successful inside the home, business or venue. 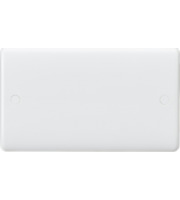 Although these electrical accessories are often overlooked it is important to pick the correct ones for you and your home, starting by browsing our wide variety of models.